This is one of my most recent discoveries in the kitchen gadget department. It was something I actually knew nothing about. I won one in a giveaway by Bitayavon Magazine on their facebook page-thank you Bitayavon it was very generous! It's not often that I win things so it was a really pleasant surprise. If you like giveaways that have anything to do with cooking then head over to their page and 'like" it that way you can be notified when they do more of them and perhaps win something cool like this. This is the Rinse and Chop Board by Joseph Joseph. I think it's a pretty helpful little gadget. It doesn't take up much room on my counter, it's easy to use and a pleasure to clean afterwards. 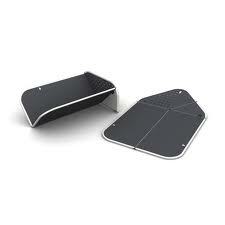 I love finding new products like these that make my life as easy as possible when I'm cooking a quick meal. Whats even better: it goes for about $14.95 with free shipping on Amazon so it's not going to hurt your wallet much either. So what is the chop and rinse board exactly? 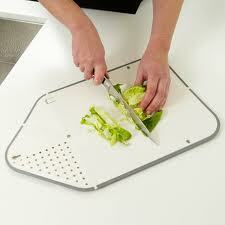 It is a multi functioning cutting/chopping board featuring a cutting board and colander combination. 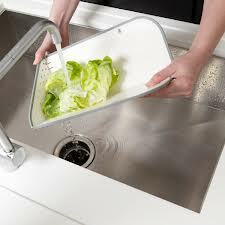 It is large enough to chop all sorts of items but small enough that it doesn't take up too much space in storage. It folds easily into a chute with non slip grip edges and a colander style end that clicks into place making it versatile for chopping fruits and veggies, rinsing them and then pouring them into a frying pan or serving dish. I have the one in grey but there seems to be a nice variety of color choices available. I've been utilizing this chop and rinse board ever since receiving it and have enjoyed it's convenience ever since. Check it out here if you love cool gadgets like this one. With the Rosh Hashana holiday right around the corner, it would make a great gift choice to purchase for yourself or anyone else. Disclaimer: I am not being paid in any shape or form to state my opinion of this product. I do not advocate items here on the blog that I don't actually love and I try my best to always give my honest opinion. Do you have a fun tool like this that is a staple in your cooking? Let me know in the comments below: I love discovering new interesting products like this one! Today is also a very important day of Remembrance! Let's take a moment as we will surely never forget those that perished in the terrible tragedy that befell NYC 11 years ago on September 11th, 2001 when the twin towers fell! Did you know? 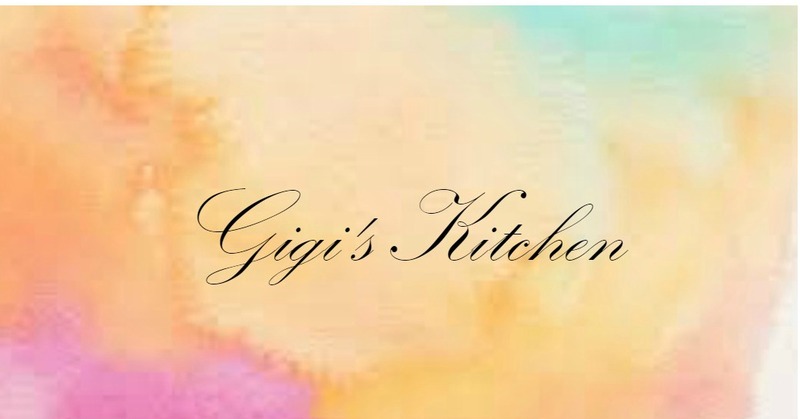 You can stay updated easily by subscribing with Google Connect, By Email or with Bloglovin' in the left side bar of my blog. I apreciate each and every one of my readers and those who leave their lovely comments so very much!